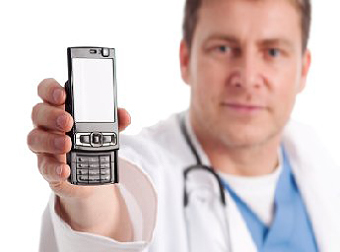 Why do doctors have answering services? As a doctor, life is not always easy. You are constantly running around and providing the best care possible for your clients. You are also human, taking vacations and sleeping in on the weekends. Why do doctors have an answering service and not just a regular receptionist? Hiring a receptionist can be costly especially if you have a busy office and need to hire more then one to answer the phone lines. That’s when you need to consider hiring an answering service. An answering service can provide 24 hours service for 365 days of the year. If you feel as though you have way too many calls coming in, you can set up the answering service to take the overflow or all of your calls throughout the day. And when you close for the day, your answering service can answer all after-hours calls to make sure your clients have the information when you’re not available. They can even cancel, make changes to appointments and schedule appointments for your business in your personalized calendar. Some answering services can also send you direct messages for emergency related issues with a client. Here at BaseTend, we can provide all of these services on a pay as you go basis, meaning no monthly plans or yearly contracts. Only pay for what you need and save your office thousands of dollars. Speaking to a live agent is 100 times better than leaving a message on a voicemail. About 80% of clients that do reach a voicemail will hang up without leaving a message. However, in the case of people calling for medical services, about 90% of those clients will just hang up and try another business as their need to communicate is greater than that of most people. This answers the question why do doctors have answering services. An answering service is a great tool to make any business run smoothly. At BaseTend, we are offering a free 14-day trial with no obligation, so we can show you just how awesome we are and our pay as you go service will keep you from losing money on lengthy contracts that other answering services require. Give us a call today at 866-970-2263 to speak with one of our live agents.